WASHINGTON, DC, 6 November 2017 — This is what my life will look like, for the most part, during the next 40 days. 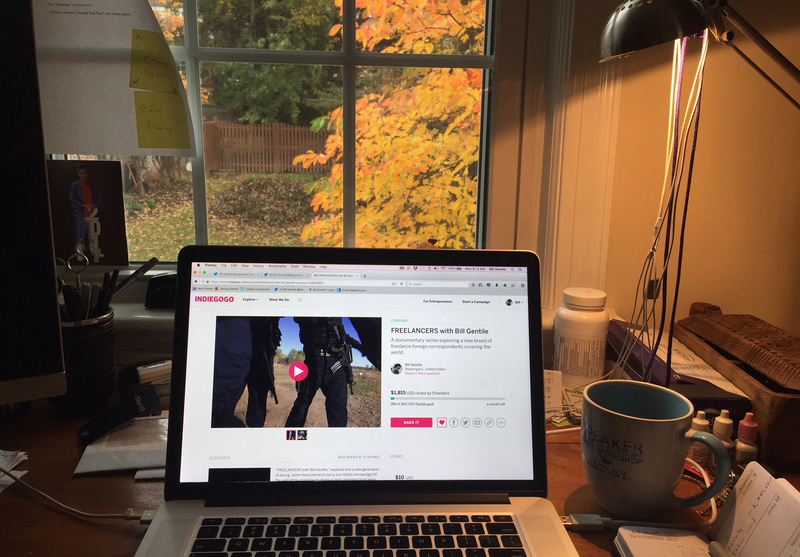 A computer, a view of my back yard — and lots of coffee. We’ve just launched an Indiegogo crowdfunding campaign for my documentary series, FREELANCERS with Bill Gentile, and are heading full speed ahead to garner enough money to fund this important project. Our objective is to introduce viewers to the people and the places where journalism begins — on the ground, in sometimes hostile environments, with smart, dedicated and trustworthy professionals searching in earnest for Truth. At a time in human history when information is power, what can be more important than understanding from where, and from whom, that information comes to us? Take a look at the social media tools we’re using to get the word out. And please feel free to support — and to be a part of — this effort. So that’s where we are. Please contact me with comments, thoughts, suggestions.